I can not thank Don enough. We had a bat that decided to invite itself in my bedroom. Not something that you expect to see flying around your room in the middle of the night. I contacted Vance Wildlife and Don came right out. He had the bat removed in less then five minutes. Definitely made me feel at ease. Thank you Vance Wildlife Removal!! Vance is awesome! After waking up to a bat flying around in my bedroom. I was freaking out and scared for me and my kids. He came right out to my house and caught the bat with in minutes. He even took the time to check out the rest of my house to make sure there wasn't anymore bats. After almost nine years of living with Grounghog Gus, it was high time for him to go. I called Don early one afternoon and he was here that evening to see what he would be dealing with. One trap was originally set up over the burrow entrance, but Don was also keeping an eye on the fence line. 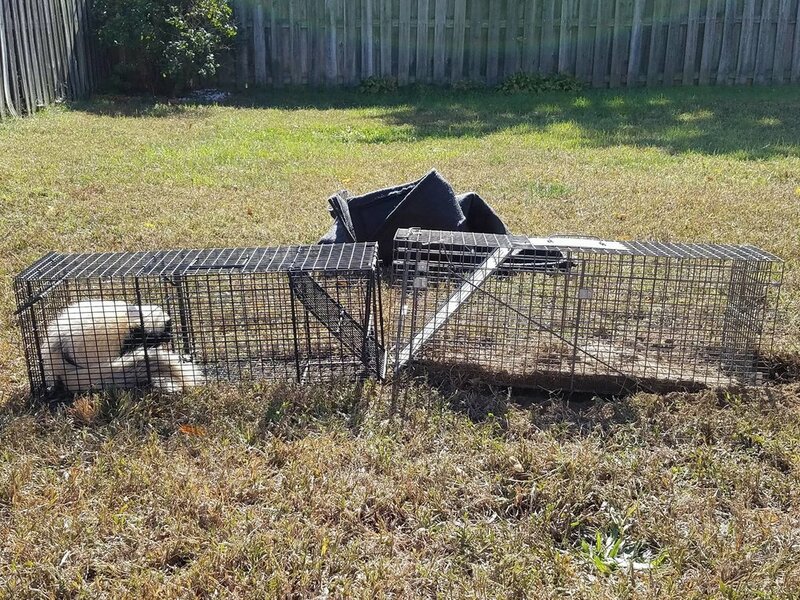 He saw where Gus was moving between yards, so a second trap was set up. Gus was caught the next day! Yay! Not only did Don catch Gus, he also gave me lots of info on how to determine if the burrow is still used, how to fill it in and on groundhogs themselves. Very interesting:) I would definitely recommend Vacnce Wildlife Removal for humane removal of nuisance critters! Don Miller is my new hero! Thanks to him I will not be living with an angry groundhog under my living room couch. ( My dog likes to bring in his new found playmates!) He came to our home in North Wilmington in record time, late at night and took the scary critter to a wildlife rehab center. Very professional. Very nice man. Don of Vance Wildlife Removal provided prompt and expert removal of ground hogs living under the porch. Don also put up an effective, well constructed barrier to keep the ground hogs and other animals from returning. I highly recommend this company. Had a bad experience with bats in our attic. I tried to get rid of them myself That did not work at all. Don, and his team , not only removed the bats they did a great job of securing our house against further intrusion. Then they did an exceptional cleanup in our attic. These guys are GOOD!!! Vance Wildlife Removal helped remove bats from our house and our neighbor's house too. They provided excellent service! To read more testimonials from our happy clients please click the link below to review our facebook page. Your feedback is important to us. If you wish to share your experience with Vance Wildlife Removal, please fill out the questionnaire below and submit. Thank you for contributing! Apex Wildlife appreciates your feedback.